The Australian Professional Rodeo Association was formed in 1944 and is the national governing body for professional rodeo competition. It is the oldest national rodeo organisation in the world. The head office of the APRA is in the Rose and Rodeo city of Warwick, Qld. The richest and most prestigious rodeos are those forming the national circuit which decide the Australian Professional Rodeo Champions. Participation is not automatic as each rodeo must meet strict eligibility standards. There are also six regional circuits, within the national competition, and a number of restricted entry or special events. The APRA is a member of the International Federation of Professional Rodeo and has a reciprocal membership arrangement with the world's largest rodeo organisation, the Professional Rodeo Cowboys Association in the USA. There are similar arrangements with the peak organisations in Canada and New Zealand. The APRA is also the national organisation on record in gaining federal funding for the Stockman's Hall of Fame and Outback Heritage Centre situated in Longreach, Qld. Professional rodeo is a unique and spectacular sports entertainment. It is colourful, exciting and rich in the traditions of the Australian outback. 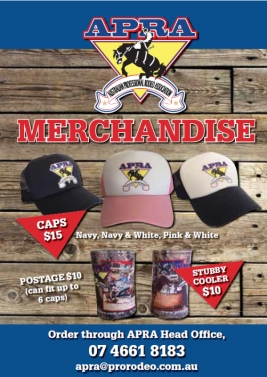 The Australian Professional Rodeo Association (APRA) is an organisation dedicated to the development and control of professional rodeo competition in Australia.Over 100 rodeos are conducted annually and competition culminates at the National Finals Rodeo each year. The origins of Australian rodeo are in the outback with the stockmen and drovers who pioneered the overland stock routes and the huge sheep and cattle stations of the north. No other sport can claim such a strong link to the day to day skills and practices of the working stockmen and drover. Riding a rough horse before starting a days work, or working with wild cattle in the rough and ready bronco yards of an outback station was and still is a part of everyday life. 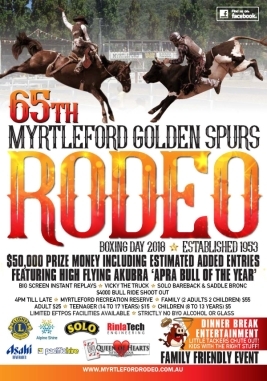 Australian rodeo can be traced back some 150 years to informal matches between renowned horse breakers or rough riders and outlaw buckjumpers. Most stations boasted a horse that can't be ridden and any man who claimed he could ride a bit was sure to be put to the test. The best rough riders went on to make a living from exhibitions and from rodeo competition. Today, their successors take their chances week after week on the highly competitive professional rodeo circuits in Australia, Canada and the United States.Rodeo is a traditional part of Australian outback life and its sporting heritage. It is also one of the social and sporting highlights of the year for many rural and regional communities, raising millions of dollars for community projects and charities.